GSM signal amplifier - 2000 sq.m. 600 dpi - black and white. 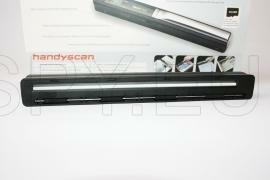 scanner has an extremely fast response to scan A4 sheet 6 seconds. device has a slot microSD card. 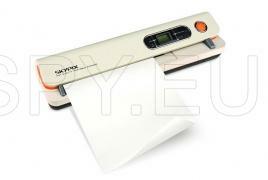 Scanned documents are stored in JPEG format the card and have counter scanned documents on the display. Of 1GB can store 220 pictures at a maximum resolution. Works with 4 AA alkaline batteries. 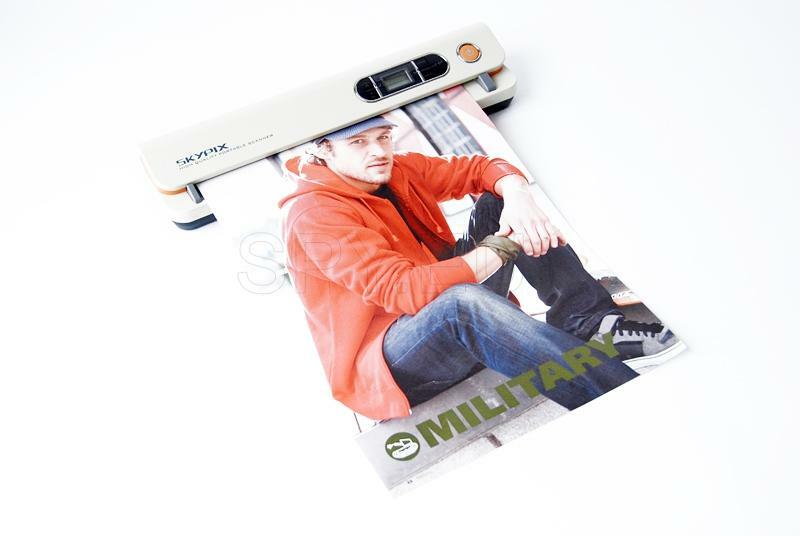 We present a practical portable scanner that you can use and take anywhere with you. Does not differ in quality from the standard ones, but in contrast, differ in practicality. With it, you can scan documents and photos up to A4 size, no more, scan in two modes - color and monochrome / black and white / scan in 600 and 300 dpi, after you scan a document, the machine automatically stored in portable SD memory that you have previously set. The maximum amount of additional memory up to 32GB, and lack of need for additional driver installation makes it easy and preferred means for working with Windows 7/Vista/XP and MAC OS 10.4 and above. The device connects directly to your computer via its USB port. 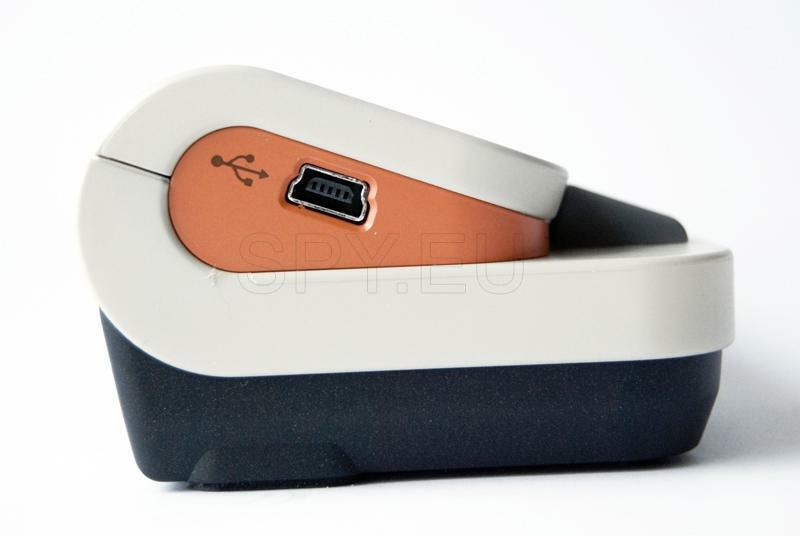 1. adapter / USB port - Connects via its charger, allowing you to power the battery, and also to use USB for downloading the scanned document as an image. 3. Button incl. / Off. - Press and hold - turns the scanner on, press again - switches it off. 4. SD Card Slot - The place to put the card with additional memory. 5. Effects / Up - This button select: color scanned document / monochrome or color scanning / clicking it on the display you will see an icon indicating the current state of the device, and also to set current time. 6. Format - Use this button to format / delete / your micro SD card. 7. ENTER - The button, which confirm the changes made by you. 8. DPI / down - You choose between two resolutions scanned images or documents - lower than 300 dpi and high - 600 dpi. 9. LCD screen - clicking on it you can see the display on the scanner's status at the time of the device. 10. Setting time - Clicking this button you enter the mode setting date and time. 1. Illuminator SD card - This is the memory that holds the scanned images when the card is inserted is displayed. 2. Battery Indicator - Displays the current status of the battery. How to use the scanner? Scanner works with 4 AA alkaline batteries. To start using it, you need to install them. Open the cover of the battery pod, insert 4 AA batteries and close. May be rechargeable. Then press the On / Off switch. POWER and can work with your scanner. To be able to capture and store scanned images need to first put it in the appropriate slot microSD card. Turn off the scanner, insert the card and gently press until it clicks softly. Do not use force to avoid damaging irreparably scanner or card. Also, before you start scanning your microSD card must be formatted. Once you have finally made the necessary settings, press the button again Time Set, to exit the menu. To operate your scanner with your new microSD card, the latter must first be formatted. 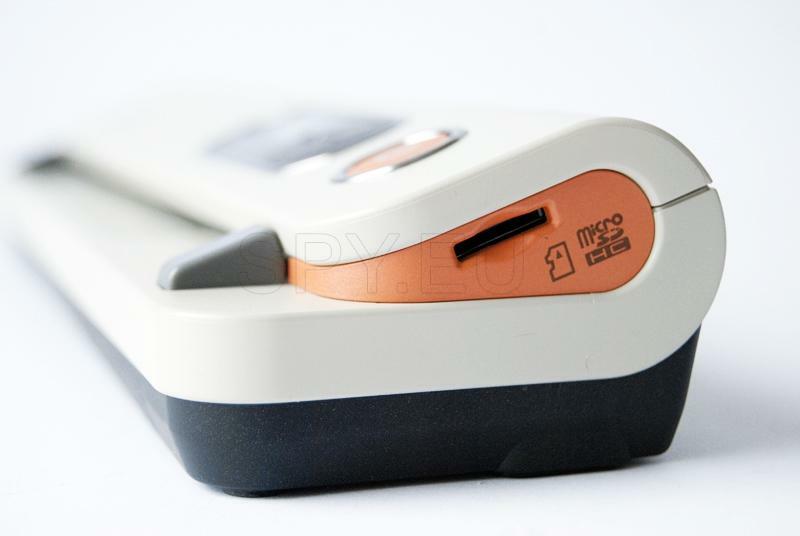 For this, put a brand new card into the slot, then turn on the scanner. Push Format, to enter Mode formatting F will appear on the display. Press the ENTER button, which is rotated back arrow to start formatting. When it is complete, the LED on the card will begin to flash. Press the DPI, to select one of two available resolutions scan - high or low. 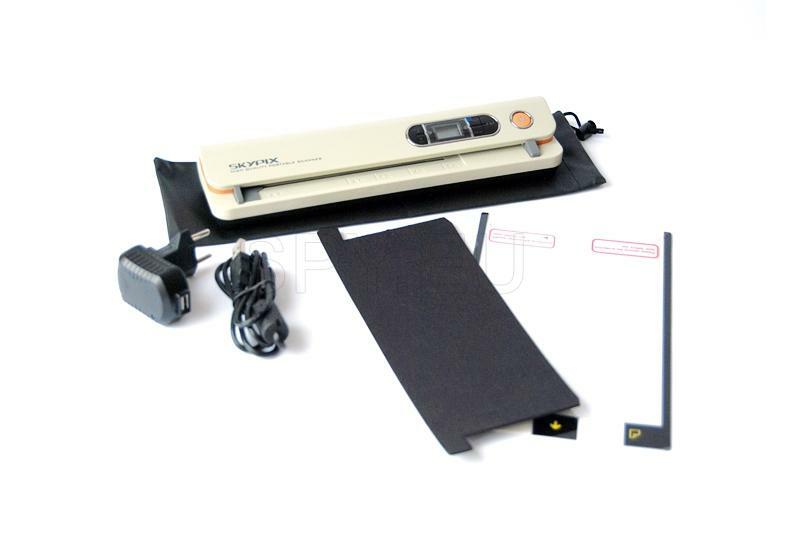 Lowest 300dpi and is primarily used to scan black and white documents, high resolution is 600dpi. The process of scanning is simple. All you have to do is simply plug the scanner by pressing the on / off. Then if you need to select the type of scan - monochrome or color, resolution and put the sheet you want to scan the scanner, face down. Once the scanner detects document, it begins to scan while the green indicator Power button gives indication of this. After completing the task, the device remains in standby, waiting for any further document scanning. To maintain the quality of scanned documents and generally prolong the life of the scanner, it need to be cleaned after each use. This is done with a special cleaning paper that is placed between the brackets on the scanner where normal leaves, which is scanned to run scans and allow the scanner to work about 6 seconds to allow the sensor to be cleaned as best . Included a set PVC pocket di lets you scan photos without danger to scratch the surface of the photograph. Photo again placed face down, and other documents. 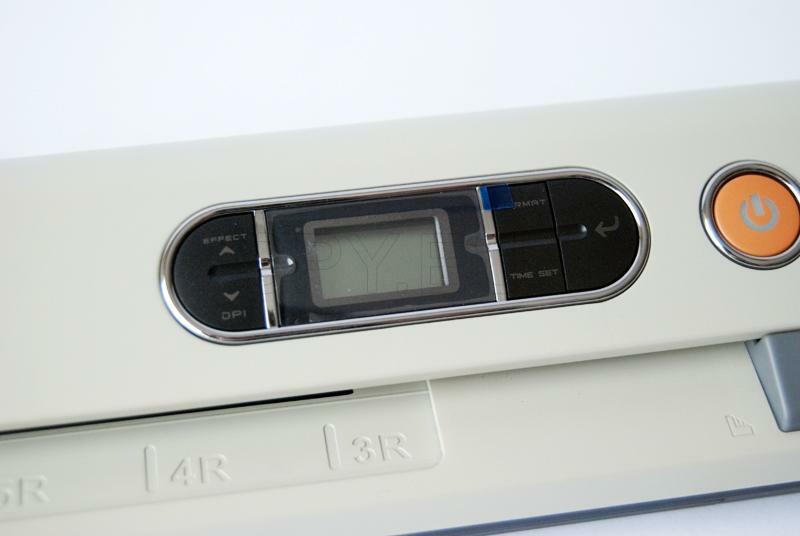 To review your scanned files and images, simply connect the USB interface of the scanner, with this computer. Press ENTER to enter that mode.